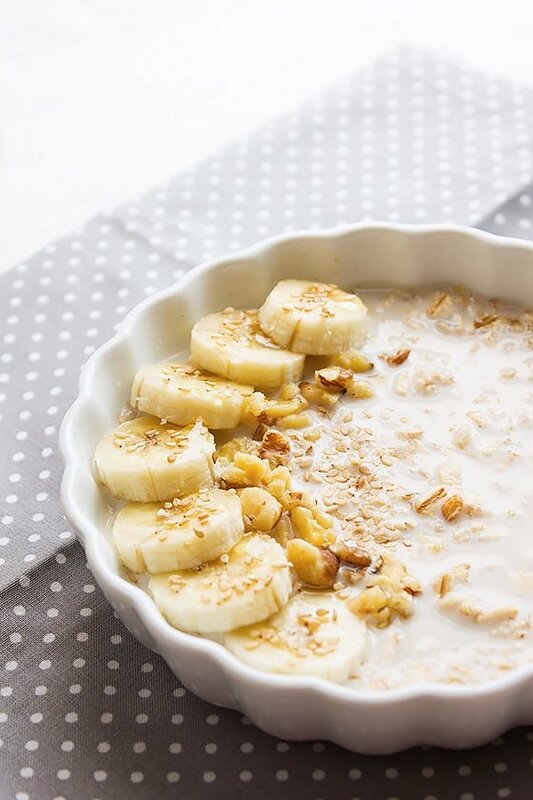 If you want to have a delicious and healthy breakfast, yet don’t have much time to spend preparing one, then this overnight banana oatmeal is definitely for you! 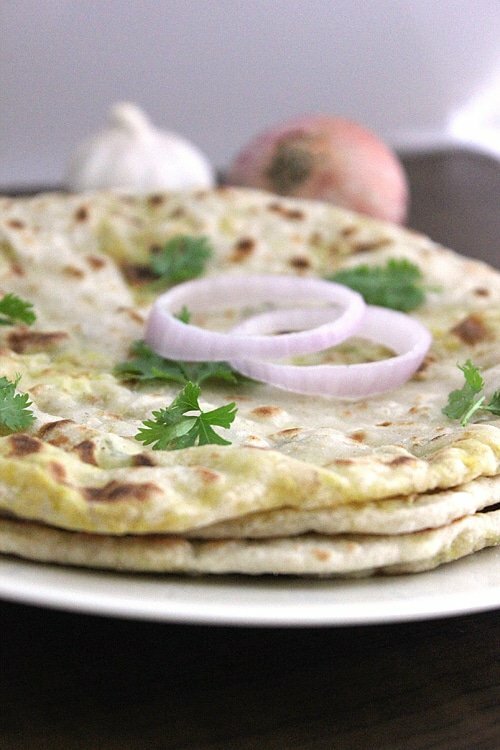 This scrumptious and refreshing breakfast is done the night before and kept in the refrigerator. All you have to do is add all the ingredients to a jar, shake it, cover it, and place it in the fridge. I chop the banana in the morning and add it to the jar. I like the banana to have firmness and enjoy it when fresh, but you can chop the banana and place it in the jar overnight if you wish. Making Overnight Banana Oatmeal Breakfast. 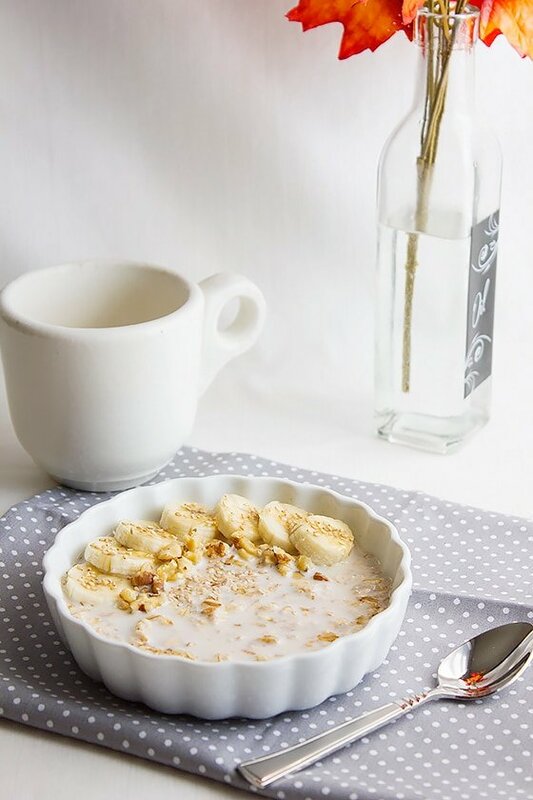 You can have your breakfast while in the jar, it is so convenient, you can take the jar with you to work and snack on it, you can also warm it in the microwave if you are not fond of cold oatmeal. 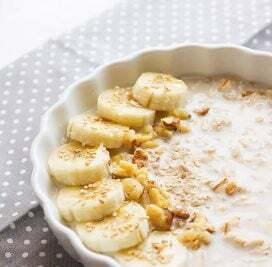 Overnight banana oatmeal breakfast, can be modified to go with your taste. 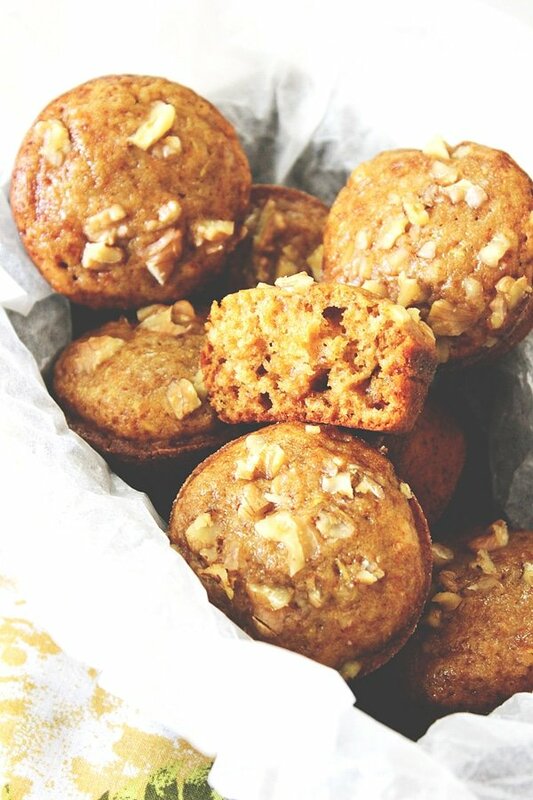 You can add a sweetener instead of sugar and honey, add more spices, or even change the fruit. Make it personal and include your favorite nuts. In a jar or plastic container, add all the ingredients except the banana. Mix using a spoon or just cover the jar and shake it for one minute, and place it in the fridge. 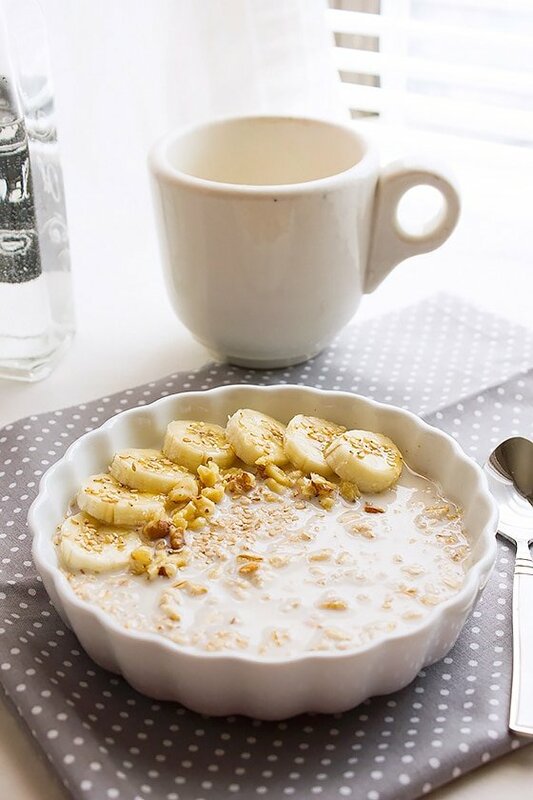 The next morning, add the chopped banana to the oatmeal and enjoy. Hey Summer, I’m happy you’re here 🙂 … Thanks for your kind words! Simple yet awesome! I really should do more overnight oats as it’s so convenient and good! I love oatmeal, and love the benefit of having it ready to eat in the morning! Lovely pics! 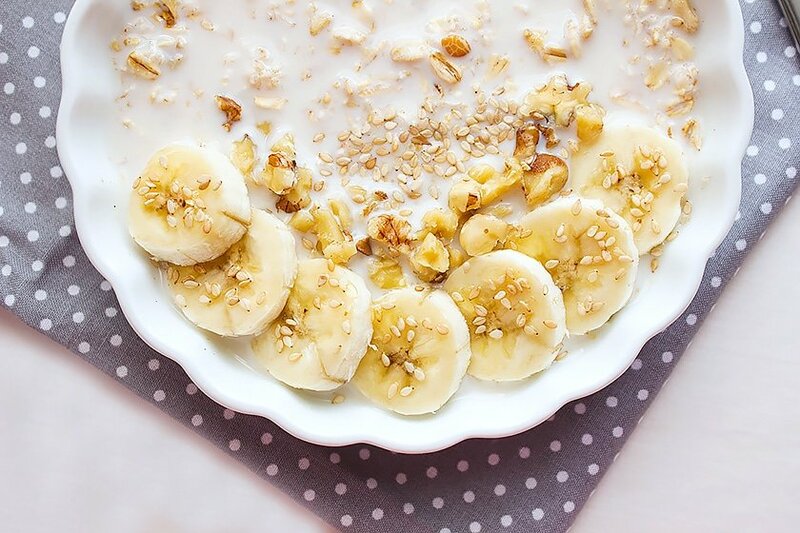 I love oatmeal, and I also love bananas…so this combo is perfect for me, Muna! Thank you so much for sharing this idea! 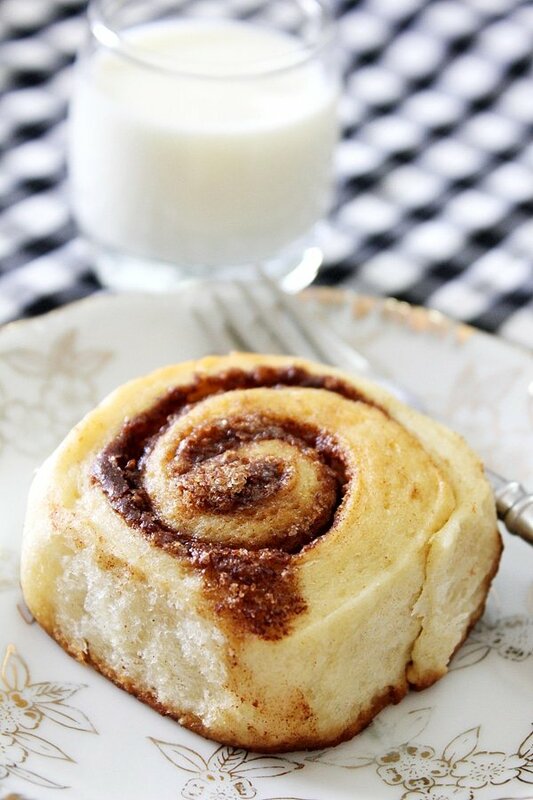 🙂 I also love how easy this one is to make for busy weekday mornings.